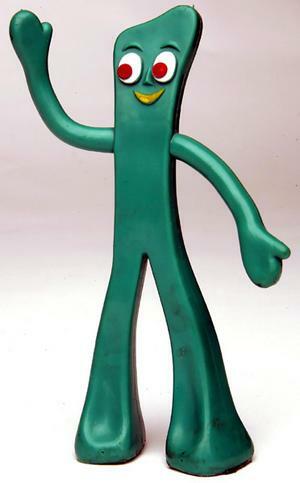 Gumby, Gumby...#10 look like Gumby! That's what I heard from two courtside Georgetown fans who have been frequent hecklers for at least the past three years. I'll take a picture of them next time. Mostly, they're quite funny, but I notice that the other photographers get a little annoyed. If the game is boring, you can pretty much get your money's worth listening to them. 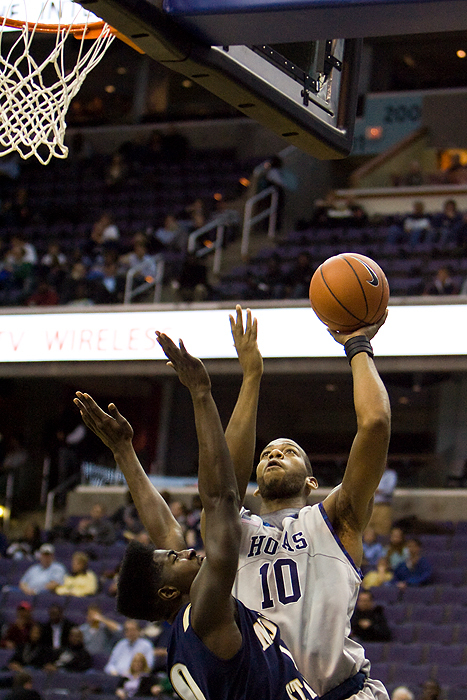 Anyway, the Hoyas beat Mount St. Mary's 83-62. Shout out to Gumby err... Shawn Atupem for rockin' the high top fade like it's 1994 (image directly below).